National Dog Bite Prevention Week starts on Sunday. The American Veterinary Medical Association started designating a week to focus attention on dog bites and their prevention. Just how much of a problem is this in our country? 4.7 million Americans are bitten by dogs annually. According to the Centers for Disease Control, more than half of those are children. 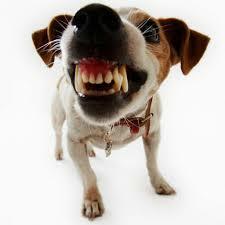 The Insurance Information Institute says dog bites accounted for more than one-third of all homeowners insurance liability claim dollars paid out in 2012 at nearly $500 million dollars. The number of claims filed last year actually decreased by 1.4 percent. Georgia ranks 9th in the US with 121 claims paid last year worth $3.3 million. The US Postal service says that nearly 5900 letter carriers were attacked by dogs last year. Atlanta doesn’t show up in the top 20 US cities for dog attacks on Postal Service Workers, but Los Angeles is number one with 69. Whether or not a dog will bite has nothing to do with the breed. Any dog in any breed can bite. The friendliest Lab will turn aggressive if it’s chained to a pole and ignored all day. Socialization of your dog with people at an early age is very important. You should never leave a child alone with a dog. Make sure your kids know not to disturb a dog that is eating or sleeping. 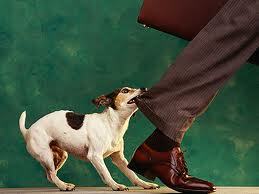 Avoid exposing your dog to people and situations that are unfamiliar to it so you don’t know how it will react. If you’re thinking about getting a dog, talk to a vet or an animal behaviorist about what breeds work best with your household situation. Do you have small children? Will the dog spend a lot of time alone? These things are important in ensuring that your dog will be less likely to attack someone. Don’t be afraid to keep people, especially children away from your pet when you are walking them. 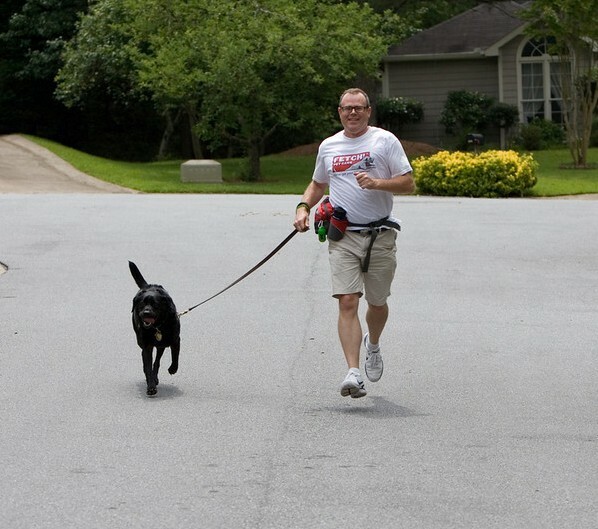 A lot of times when our dog walkers are walking client dogs someone will come up and ask if they can pet the dog. VI tell the sitters to politely decline, telling them it’s not their dog and they are not sure how the dog will react. Sometimes children may get a little bolder approaching a dog on a leash, but since the dog is on a leash and out of its comfort zone, it may be more on edge and more likely to attack. The advice I give my sitters could work for you: Be aware of your surroundings and eliminate the potential for trouble before it happens. If you are walking your dog and there is a group of children or you see a dog off its leash, turn around or go a different way, so there won’t be any interaction. Some of the links in this story have more tips to avoid dog bites. Be sure and check those out and check in on my Facebook and Google + pages to see things I’ll have posted all next week. Dogs are for fun and pleasure, but you must remember they are animals and you never know how they will react in strange situations. Stay safe and don’t wind up as a statistic! One of the most viewed stories on YouTube and the internet this weekend has been the story of the Denver news anchor who was bitten in the face by a dog on her show Wednesday morning. This serves as a way to remind us not to put our face in the face of a dog, especially a dog they don’t know well. Kyle Dyer, the KUSA-TV anchor was doing something we all do when loving on a dog, putting our face in front of the dog and talking “doggie talk” to them. A few months ago I was visiting with Xalina Labarge, a dog trainer and co-owner of Dog School 101 in Marietta. One of their clients brought in a dog and I asked for permission to pet it, the owner said sure, so I bent over and started petting the dog. The dog was about 40 pounds or so and very friendly and I didn’t feel threatened at all. The dog seemed to enjoy my affection. After they left, Xalina told me that I should never put my face near the face of a dog that I don’t know. This could possibly trigger a stress response in a dog, which may cause a dog to bite. Most bites are due to a stress response based on fear, unfamiliarity, or even a pain reflex. It’s best to extend out your hand, and allow a dog to come to you first for meet and greet. I thought about how many times I have done that. How many times have we even dropped to a knee to pet a dog? Dyer learned the hard way not to get in a strange dog’s face. Now before you call me a hypocrite for the picture I have on the blog, this was a dog I was familiar with at the dog’s home. Many TV stations frequently have pets in the studio, usually they are brought in by someone from a humane society or adoption agency and they maintain control over the animal. I’ve spent many years around TV studios and regardless of how nice and homey they may look on TV, it’s not the best environment for a pet. It’s very bright because of the lights, it’s usually very cold because of the lights and there are a lot of things going on off-camera. The reason Max, an 85 pound Argentine Mastiff, was on the show was that he was rescued from icy waters the day before and the rescue was a big story. KUSA wanted to show that Max was fine. Max’s owner released a statement after the incident stating that they were sorry Dyer was injured and wish a quick recovery for her. They agreed to do the interview at the station’s request to thank the rescue workers. Sunday night Max was serving a 10 day quarantine, at the end of which his fate will be determined. KUSA is reporting it is doubtful Max will be put down when it ends. Dyer was released from the hospital on Thursday after undergoing plastic surgery on her face. It’s not known when she will be able to return to the air.